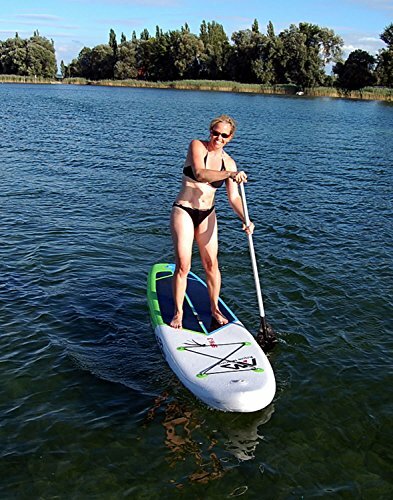 Catch the latest water sport craze with the Aqua Marine SPK-3 Inflatable SUP Stand Up Paddle Board. 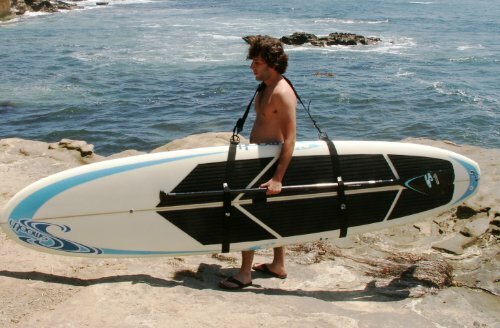 This rigid inflatable SUP board has a similar feel to a hard board, yet is more portable and easier to store. 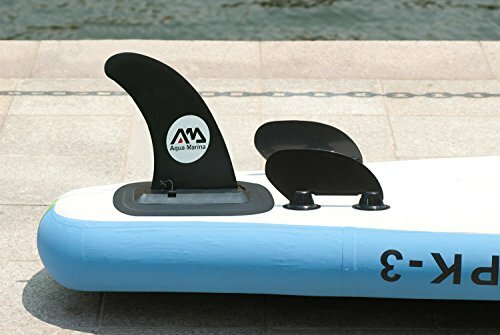 Made from commercial grade PVC material with drop-stitch construction, when inflated the board is 10’10” long, 30″ wide and 6″ thick and ready for a variety of water conditions. Five stainless steel D-rings are handy for on-board storage. 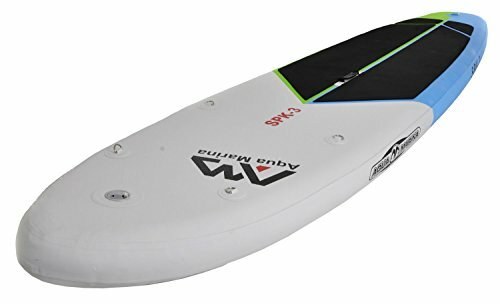 The three fin set up is perfect for tracking on flat water, while the anti-slip deck pad will keep you on your feet. 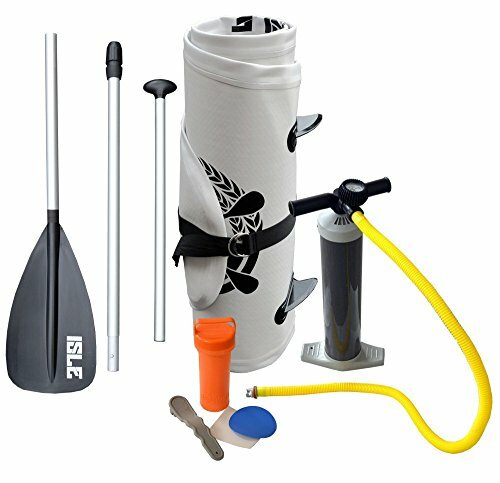 Included in the package are the SUP board, starter pump, three fins, a patch kit and carry bag. 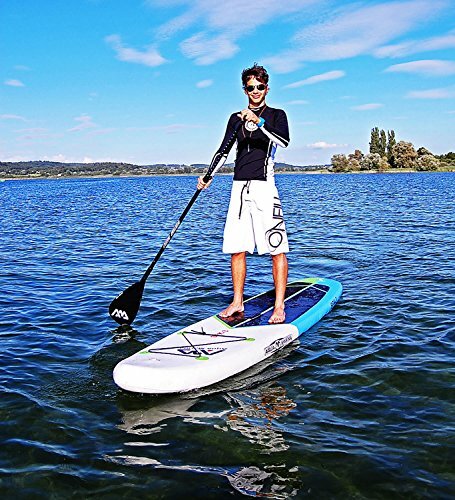 Durable: PVC material and drop-stitch construction, max recommended weight 310 lbs.